McPhail-Trap is a fly trap and consists of an inverted funnel base and a kind of transparent bell on top. The traps are used in combination with pheromone diffusers. The insects enter the trap through a hole in the base of the inverted funnel in response to the pheromone that hangs on top of the bell. 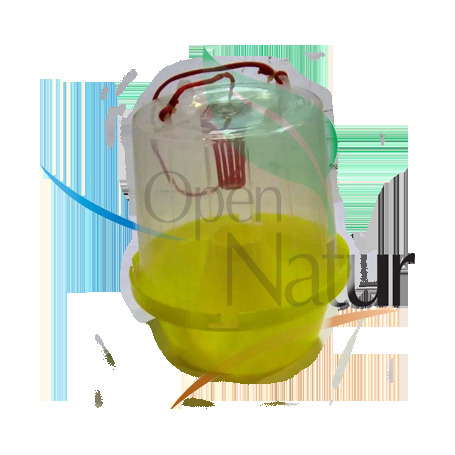 Once they are inside the trap, the insects are trapped by the pheromone and by the light that enters through the transparent lid. When they are exhausted they fall into the solution of soapy water contained in the base of the inverted funnel where they drown.